In this fictional narrative, students go on a field trip to the science museum. They even build and race cars! 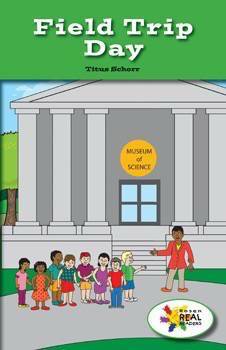 the bright illustrations and domain-specific vocabulary will help readers learn about what a science museum has to offer. This fiction title is paired with the nonfiction title Our Bus Trip.